Blasts of technological innovations constantly augment automation of manufacturing, increase its effectiveness, product quality, reduce enterprise expenses. Metal procession, and welding in particular, is known to attract the biggest investment share in the entire industrial automation sector. The manufacturers are convinced by the raise of productivity, higher quality of seams, elimination of the “human factor” and simplified production planning. 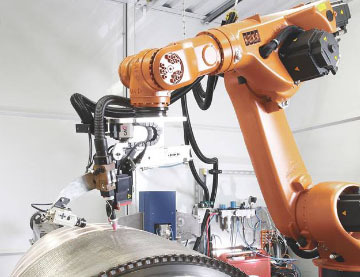 The Kuka welding robots are working hard in mechanical engineering plants, machine-tool-building, ship-building workshops, and many other industrial spaces for metalware manufacturing. The Kuka welding robots allow your engineers easy and real-time control of a tray of welding parameters. The secret of their constantly high seam quality is their super-precise observing of welding technology and trajectory. The KNN-systems is honored to propose and integrate the best solutions in automation, mechanization, and automation of industrial welding. 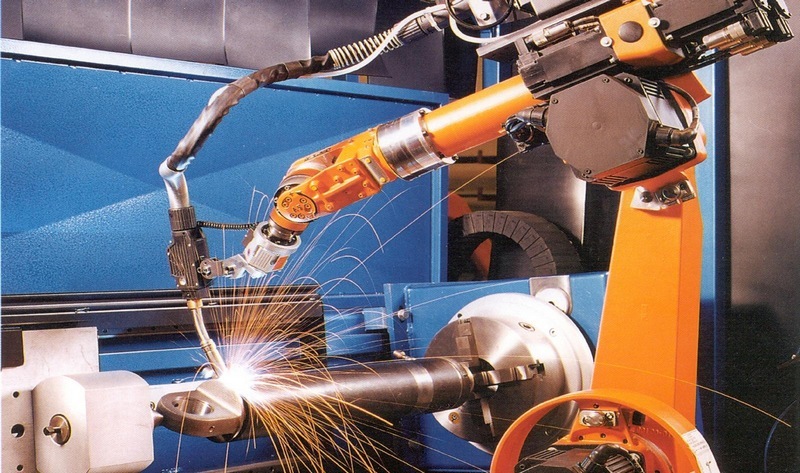 What your business will get with the Kuka welding robotics? Automation of manufacturing will boost your business and tow your products to much higher level. Robotics is good for raising the products quality, speeding up manufacturing, and saving production cost. Easy in use robots that do not need constant and expensive maintenance. 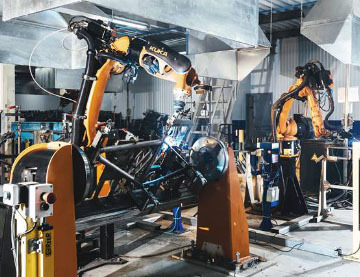 The KUKA robots perform welding of a bicycle frame at a plant in Russia. 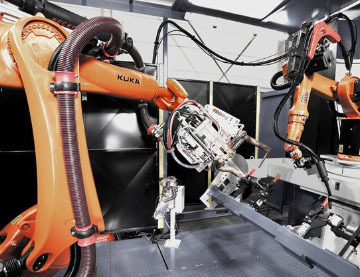 The KUKA robot performs the accurate welding in the EADS production using the KUKA.SeamTech Tracking program. The KR 6-2 robot (on the right) performs welding in protective gas environment, and the KR 210 robot works with the tongs for spot welding.